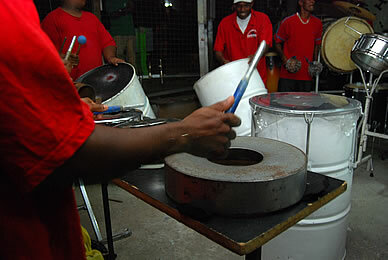 East of the Dry River (St. Ann's River) lies the cultural capital of Trinidad and Tobago – the birthplace of the steelpan, calypso and carnival. East Port of Spain has produced icons in the fields of culture, education, law, business, sport and the arts. The area is rich in history and cultural traditions and boasts of a number of sites of national significance. 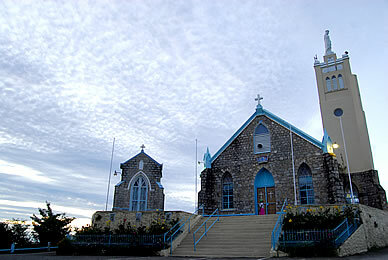 East Port-of-Spain is a network of diverse communities in terms of physical size, population, layout and appearance. Some communities of East Port of Spain have developed a reputation for poverty, crime and violence and their residents do not benefit from the economic growth experienced nationally. Discrimination in employment and social stigmatisation exist on the basis of address and further disadvantage residents of these communities. Conditions in the area today are likely a result of these physical, social and economic factors. East Port of Spain extends from Charlotte Street and Sea Lots in the west to include the communities immediately north and east, of the Lady Young Road, namely Mon Repos, Never Dirty and Caledonia #2; The southern boundary is the landfill and swamp south of the Beetham Highway . 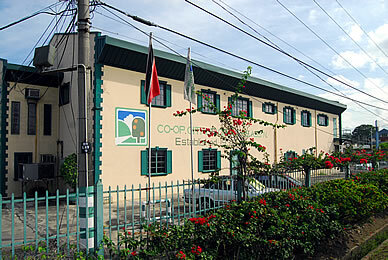 The Central Statistical Office identified sixteen (16) communities that comprise East Port of Spain. The area comprises approximately 2,700 ha (6,700 acres). East Port of Spain has a long and rich history. The oldest part of the City was established on Nelson and Duncan Streets and the home of the Governor in Trinidad was located in Port of Spain, even though the capital was officially located at San Jose (St Joseph). The Cabildo was moved to the corner of Piccadilly Street in 1783/84 before the arrival of Chacon as Governor of the territory. Similarly, The Royal Jail was originally located at the corner of George and Queen Streets up to 1812 when it was relocated to its present site on Frederick Street. The Observatory was built in 1783 and the Masonic Lodge constructed at Mt. Moriah in 1804. From as early as the 1860s it was reported that “a large, insanitary and overcrowded slum” was developing ‘behind the bridge’. Some of the earliest residential settlements in Port of Spain are located in the area. Early settlements in East Port of Spain included Rose Hill created by Edward Jackson in the 1820s opposite Park Street. Freed slaves settled in the area after emancipation in 1838 and other settlements developed around Belle Eau Road, Belmont, Mango Rose, Escalier Hill and Clifton Hill. The first public housing project in Port of Spain was built at Gonzales and much of it remains today. East Port of Spain is also home to two forts (Fort Picton and Fort Chacon), and numerous sites and buildings of historic significance. Several slave cemeteries have been recorded in the area, although some have since been built upon.